← FOREF-COMMENTARY: Who needs the National Sect-Office? In Austria, we have over 66 percent Catholics and 2.9 Protestants. Islam, with 450 000 Muslims (4.2percent) constitutes the second largest faith community. Only 14 faith communities enjoy special privileges by the state. Another 10 are so-called “Confessional Communities.” There are approximately 600 religious minority groups, which are regarded as so-called “sects” and are targets of the anti-sect offices. With a population of 8.2 million, Austria has no less than 33 anti – sect offices operating in the country. Proportionally, this marks an unmatched record in Europe and even on a global scale. In 1998, the Austrian Parliament passed the Federal Law for the Establishment of a Documentation and Information Office for Matters Concerning Sects. The tasks of this office, whose head was appointed and supervised by the minister for social security and generations, were to collect and distribute information about dangers originating from programs or activities of sects or sect-related activities. The Federal Sect Office received in recent years annually over € 400 000, – funding from the Federal government, which means the taxpayers’ money. 1. LAW IS UNCONSTITUTIONAL: “Sects” within the mainstream churches are excluded from observation by this office. The law is not applied to state-recognized churches and confessional communities and is therefore discriminatory and therefore violates the Austrian constitution (Expert View by Prof. Dr. Christian Brünner Karl-Franzens-University of Graz, Institute for Austrian, European and Comparative Public Law, Political Sciences and Public Administration, President of FOREF Europe). The law is also incompatible with Austria’s OSCE commitments. 2. BIASED LEADER: The in 1998 appointed director of the federal sect office Dr. Mueller is known to be strongly biased against religious minority groups. He is the former leader of the controversial, Vienna based private Anti-Cult Organization called “Society against Sect- & Cult Dangers” (GSK). 3. BIASED STAFF: Two key staff members (of six) in the Federal Sect Office: A Catholic theologian and a pedagogue in Protestant theology. 4. IGNORING STATE/CHURCH SEPARATION: The Federal Sect Office is holding regularly meetings with leaders of the “Sect-Offices” from the Catholic & Protestant churches for the sake of information exchange on the activities of minority religions. 5. BIASED ADVERTISING: Advertising the Sect-Offices of the Catholic- & Protestant Churches on the official government Website by the Federal Sect-Office. 6. DELIBERATE USE OF THE TERM “SECTS”: The federal government is still using the derogatory and stigmatizing term “sects” for minority religions and thus sanctioning the use of this term in the educational system & media. This is clearly violating OSCE standards and the EU standards regarding anti- discrimination. In spite of its obligation to file an annual report on its activities, the Federal Sect- Office has not been reporting for five years (the 2005 report has been published & presented in parliament in 2007). Furthermore, in those three reports, which are available since 1998, experts trace an artificial inflation of the statistics and criticize the absence of factual content. More seriously, members & leaders of religious minorities are not allowed to view the data/information contained in the files the Federal Sect Office has assembled on them! The most recent case – by no means unique – is the case of Mag. Harald J., who during the 90s held a leading position in a small religious group. In 2004 he disassociated himself from that faith and consequently he left the organization. He established a successful method (Kido) to teach children self defense, in particular against sexual abuse. In addition he has become a qualified life-coach. However, getting professional engagements has become extremely difficult due to repeated interference of various “sect hunters” who tried discredit him. Early this year, his job prospects received another blow, when the chamber of commerce confronted him with a big file on his affiliation with a so-called “sect”. The file was authored by the Federal Sect-Office. Mag. Harald J. is gravely concerned about the permanent witch-hunt against him and how he can continue to feed his family under these circumstances. Besides, in Austria there is no legal protection in cases of defamation of religious organizations. Teachers repeatedly justified their discriminating behavior towards pupils from minority religions with the mere existence of the Federal Sect Office. The use of anti-sect videos, which are being circulated nationwide in schools for religious education, but occasionally also in social and political education, is violating the religious freedom of pupils (see next paragraph). Most high-school students have to attend lessons on “Sektenaufklärung,” which in reality means biased, anti-cult lessons in religious- and social education. discriminatory and biased, since it is often produced by the apologetic quarters of the mainstream churches in order to project their view on small religions or so called ‘sects’. Especially children, whose parents are members of a targeted religious minority, are suffering under these circumstances. GSK is a private, Vienna- based anti-cult association which is also the Austrian branch of FECRIS. It is still publishing the controversial Anti-Sect brochure called “Wissen Schützt” (Knowledge Protects). The booklet, which is blacklisting over 20 groups was originally published by the Family-Ministry in 1998 and widely distributed. Due to court cases and various complaints by victimized religious minority groups, the government had to stop circulating it in 2003. Amongst many other discriminatory materials GSK is publishing the brochure on its official website for download. We appeal to the federal government of Austria to propose an independent scientific advisory board to accompany & monitor the activities of the Federal Sect-Office in Austria. Or otherwise to follow the German example: Close the office and thereby set a positive example to promote religious tolerance according to OSCE standards. We appeal to the Austrian Ministry of Education to propose an independent scientific board i.o. to assess the circulated information materials on religious minority groups with the purpose of eliminating outdated and discriminatory content. Even these materials are used in religious education, the state still holds responsibility to stop the misuse of the educational system for discriminatory purposes. 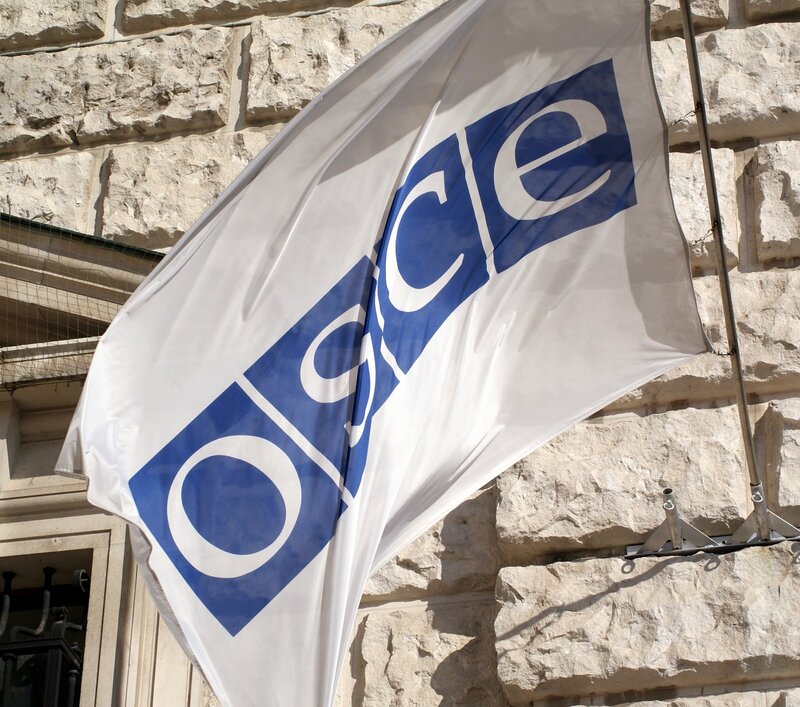 We ask the OSCE to recommend less discriminatory models of legislation to the Federal government of Austria (using examples from the OSCE region). This entry was posted in Austria, Religious Discrimination. Bookmark the permalink.